An updated list of some of the most influential photographers in Asia that we published last year. The 20 names here-in are contributed by the IPA community via an informal poll and post, and serve as?a online reference to prominent names in Asian photography. By no means is this list complete and exhaustive as it currently is. We hope to add more names as we progress ? as a celebration of photography in our part of the great big world. Which other Asian photographers do you think has been influential, perhaps even in your country or local community? Feel free to add your suggestions in the comments below. ?All that we value, that we strive to uphold, all that gives us strength, has been made of dreams? A peacock mutates from a princely pet to a goddess blurring boundaries between reality and illusion reinventing the Panchatantra (Indian animal fables in prose and verse) for the 21st century. 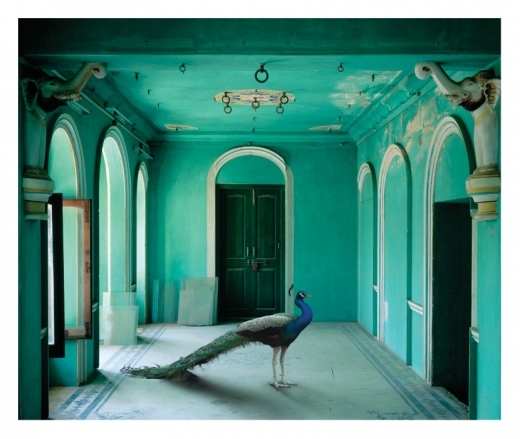 Festival theme photo from the "India Song" exhibition by Karen Knorr UK/Puerto Rico, Courtesy of Tasveer. Dhaka, Bangladesh. 28 December, 2010😕 The Chobi Mela VI – International Festival of Photography will be held from 21 January to 3 February, 2011 in Dhaka Bangladesh and will present the work of creative artists participating from 30 countries. The festival with its theme ?Dreams? is designed to be a birthplace of ideas, and a crossover meeting point for many artists. 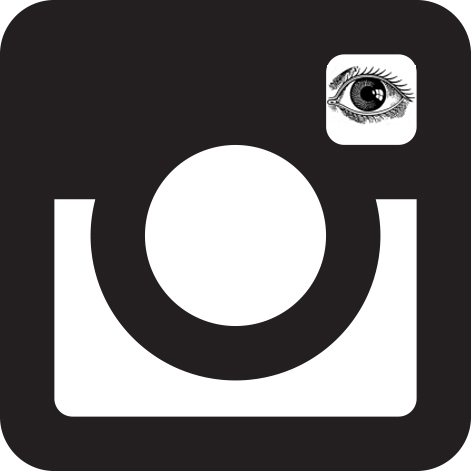 It will open a portal to a mystical world of images showcasing new trends in photography and bringing to the fore issues of our troubled world. The unique festival will be launched on the 21 January, 2011 at the Bangladesh Shilpakala Academy. Parallel exhibitions will be held at Alliance Francaise, The Asiatic Gallery of Fine Arts, The British Council, Drik Gallery, The Goethe-Institut and the Lichutala at Faculty of Fine Arts, Dhaka University. In congruence with the exhibitions there will be 8 workshops, 2 portfolio reviews and a week-long discussions, seminars and lectures at Goethe-Institut Auditorium that will initiate debates and discussions on issues central to contemporary photographic practice. The main attraction on the 22 January at Goethe-Institut will be a video conference with Dr. Luis Moreno-Ocampo, Prosecutor, International Criminal Court.? In this position, his mandate is to select and trigger investigations and prosecutions of the most serious crimes of concern to the international community, namely genocide, crimes against humanity and war crimes. The Inaugural ceremony and the evening presentations will also be broadcast ?Live through Internet? at: www.drik.tv. The first Chobi Mela festival (Dec.1999-January 2000) was launched by Drik and Pathshala South Asian Media Academy to fill the need for a forum for sharing work and ideas, a platform for debate that was missing on this side of the globe. This inaugural festival focused on ?Differences? in the world we live in and in a sense was prophetic. The twin towers disaster followed and buried beneath the rubble the freedoms that the world has since lost. ?In a world ravaged by war, to turn to ?Dreams? after ?Differences?, ?Exclusion?, ?Resistance?, ?Boundaries? and ?Freedom? is to return to what holds us together in the face of all our obstacles, the focus of all our longings. In a vastly unequal world, it is our insistence on justice and our ability to ride the waves, which still keeps us dreaming,? 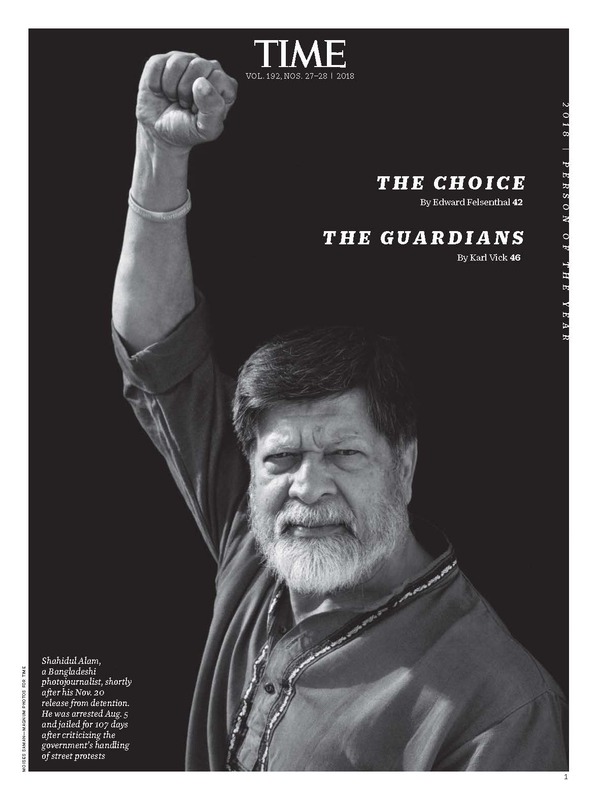 says Shahidul Alam, Festival Director and Managing Director of Drik. ?I dream that Chobi Mela will play a role in re-writing the history of photography, and correcting the extremely Eurocentric version of history that is currently propagated.? Many bodies of work that went on to become well known were first shown in Chobi Mela. Considered to be the most demographically inclusive photo festival and the resulting pollination has led to many exciting exchanges, and given rise to several new festivals in the region for which Chobi Mela has been the catalyst. Ensuring the general public?s access is an important part of the festival and admission for the festival is free. Mobile exhibitions on rickshaw vans are now a trademark of the Chobi Mela festivals. The festival provides an opportunity not only to enjoy the outstanding work of national and international photographers but also raises important social issues critical to our existence.